REDUCED!!! 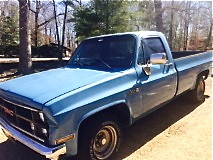 For sale is my 1983 GMC High Sierra 1500, RWD, 4-speed turbo tran automatic with overdrive. This truck runs and drives great! 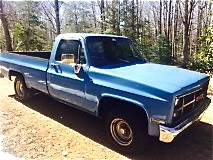 Has some issues, but for a little extra money would make an awesome "Fast and Loud" type truck or restore to original or use as is for a weekend runner to home improvement store or dump! The bad first: -The gauges do not work, except for aftermarket temp gauge. This could be a simple fuse issue, the truck runs great so never bothered me. -No radio -No fan housing, electric fan is not there so if sit too long with running would over heat, when driving it is fine. -Factory AC was removed, but have all parts to go back in -Interior is rough, could use all new or a better cover -Tires are okay, but if plan on driving a lot may want to consider new ones. 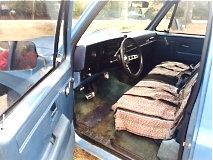 -Not original steering wheel, have correct steering wheel going with truck -Not original tailgate or bumper. Those were missing when I bought truck, found a 1983 Chevy parts truck for the tailgate and the bumper is actually better and heavier duty than original! -Front driver's side quarter panel has big dent, new quarters are inexpensive and if I kept truck, would pop a new one on, but right now no time or money to do so. Now, the good! 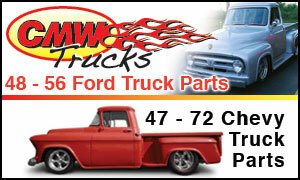 -Truck runs great! 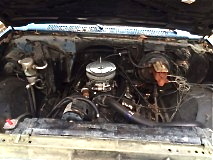 Will start on first crank if temp out is above 50 degrees. -Rebuilt 350 engine (believe under 150K on it, but not sure) -Holley 4-barrel carb (put in under a year ago) -Redone steering (done under 1 year ago) -New braking system (done under 1 year ago) -Drives straight and growls! -Original paint -Original dash with no cracks! -Most of original trim is there -No major rust! Some small surface rust but nothing major on any typical spots on these models. Overall, this is a great base pretty stock original truck and with little more invested would be worth a lot more. Asking $2400 OBO. Cash only! I have clean title. No checks, no paypal, no trades! You come with cash, I hand you signed over title and keys. That simple. Have A LOT more pictures! Just email me and will send them your way!! Call or text Jonathan at 757-619-2617 or email: [email protected] Thanks so much!